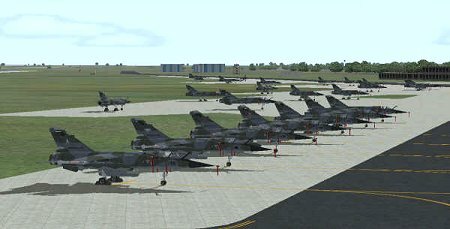 Nick Black has spent the past 2 years developing high quality, freeware AI models for FS2004 and FSX as part of Military AI Works. 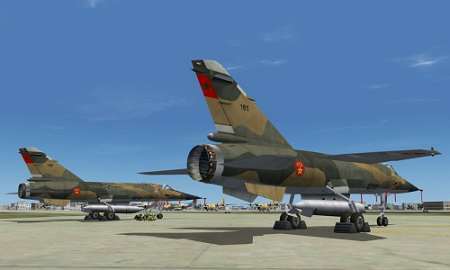 His latest project is the Dassault Mirage F1. I will update this page as Nick sends more information and screenshots. 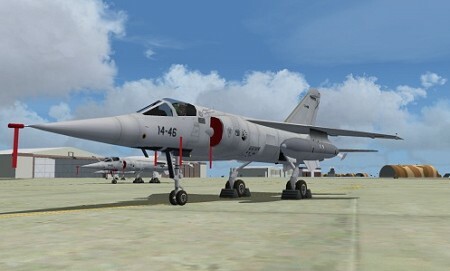 Watch a preview video featuring this AI Mirage. Models feature full animations and some clever new XML tricks to give her half-opened fresh air canopy while taxiing, half flaps for take-off, full flaps for landing, LE slats and flaps, animated speed brakes and drag chute. The AI model features eight LODs. He has 20 different weapon models so far, suitable for every conceivable mission. Nick plans to make every version in current use and by every operator. 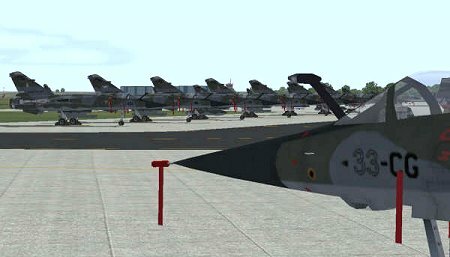 The first package will feature all current Mirage F1CR, F1CT, and F1B in service with the Armée de l’Air. It will be released through the Military AI Works. Scenery will be included for Colmar-Meyenheim (LFSC), Reims-Champagne (LFSR), and Mont-de-Marsan (LFBM). Nick: "Wow....is all I can say, I've astonished even myself with this one. By far my favourite model project to date and something that I’d not even thought about until I saw a picture of one on Fighter Control." Nick has uploaded a video to YouTube to preview the F1CT and F1CR in action at Mont-de-Marsan AB and Reims-Champagne AB. 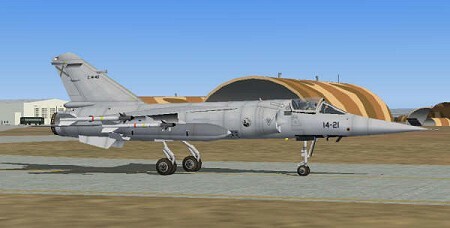 The second package features Mirage F1M's with Ala 14 of the Ejercito del Aire (EdA) at Albacete-Los Llanos AB (LEAB). 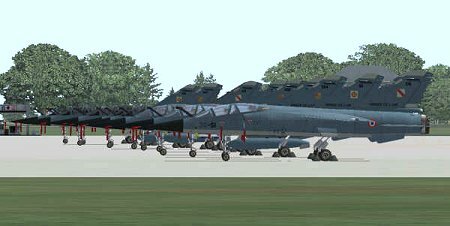 The package includes all current F1M and F1BM in service and a new airbase scenery. An F1M armed with Sidewinders taxis past camouflaged Hardened Aircraft Shelters (HAS) dating back to the 1970-80s when the Mirage F1CE and F1EE wore camouflage in similar colors. Now they are all painted in overall gray except when wearing colorful commemorative markings or NATO Tiger Meet marking as shown here. The Ejercito del Aire package has been released and Nick and the folks at MAIW are working on the follow-on package(s). 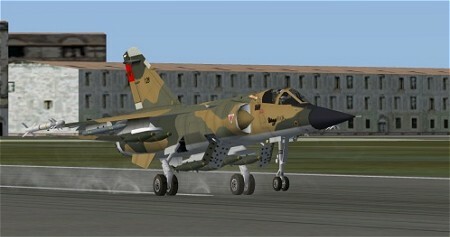 The third release will cover the Mirage F1CH, F1EH, and F1EH-200 in use by the Royal Moroccan Air Force. Also included in the package will be Sidi Slimane AB with support aircraft (C-130 and Transall) in Royal Moroccan Air Force markings. 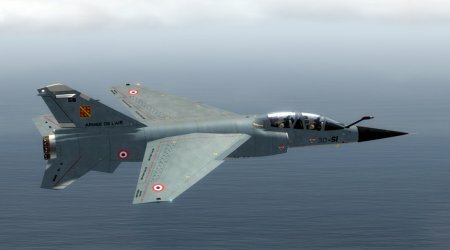 Nick Black and the folks at MAIW have released the fourth and final Mirage F1 AI package. 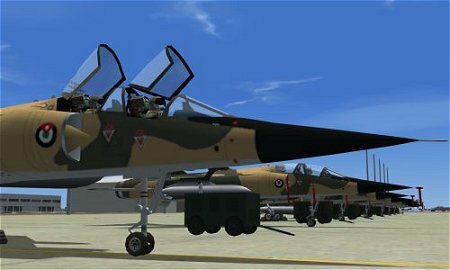 This release covers the Mirage F1CJ, F1EJ, and F1BJ in use by the Royal Jordanian Air Force at Shaheed Muwaffaq Airbase. 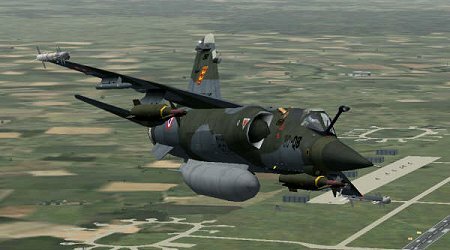 The Nick Black/MAIW Mirage F1 Series has been converted by Henk Schuitemaker for better frame rates in FSX and compatability with Prepar3D v4. The package also contains converted DDS textures for all MAIW Rafale paints. All in-game images by Nick Black/MAIW.